These connected paths have been created by mountain guides, who are in love with nature or passionate about their region, in cooperation with the Grand Parc teams specialised in environment and culture. The goal is to make walking a unique experience in which user will learn new things and could share them after ! To enjoy this new way of strolling fully, download for free Mhikes app and choose the path you want to carry out on your tablet or smartphone and take up the adventure. The app will guide you until your starting car park then throughout your path, alerting you on each point of interest. Strolls may be done on foot or by bike. Make sure you have appropriate equipment : sportswear, helmet, and remember to keep hydrated, especially children. This mountain bike path offers an enjoyable stroll in the Grand Parc. While cycling around the lake, you will discover the secrets of the fauna and flora living in this area but also the secrets of these funny sculptures… Do not forget to have water with you and battery on your phone! Mhikes app wishes you a pleasant moment. 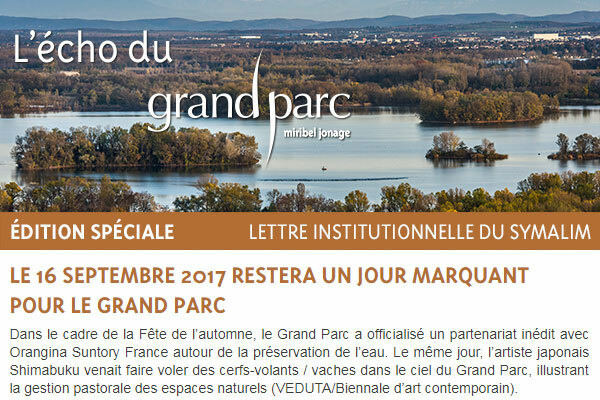 On the edge of the Grand Parc Miribel Jonage, we propose you discover amazing woods and trees. Path information is totally hearing in order that younger and older could enjoy the wonders of our site.